Hei Nui has definitely settled in well in Poland. 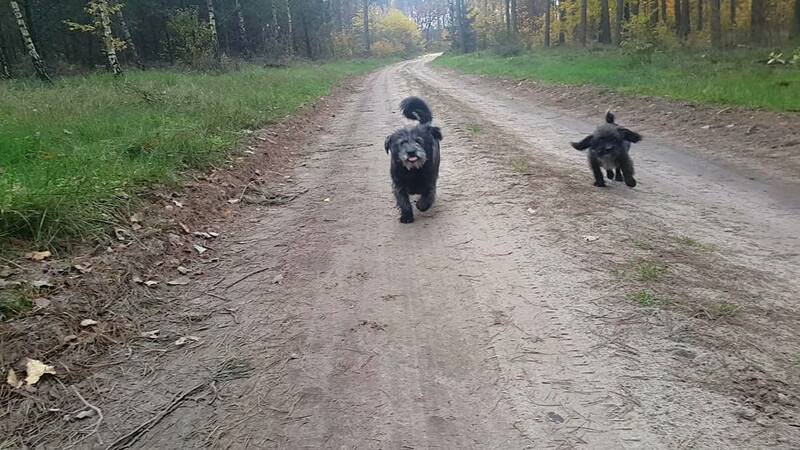 She and Tu Tu are still firm friends and they enjoy walks with Marzena in the countryside. 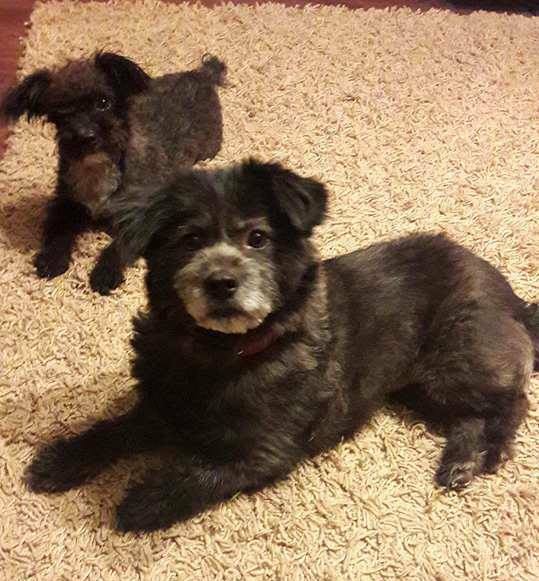 These little dogs had such a horrible start in life so it's heartwarming to see them act like dogs should act and enjoy the love that Marzena and her family give them. True Dog Meat Trade Survivor ambassadors! Hei Nui has settled in well since going to Poland to her new home a few months ago. Her husband from China, Tu Tu, has been helping her to settle in, being a familiar face for her. She has been playing and sitting in the garden, enjoying the summer. Hei Nui has had her coat clipped short so that she does not overheat. She is very happy! 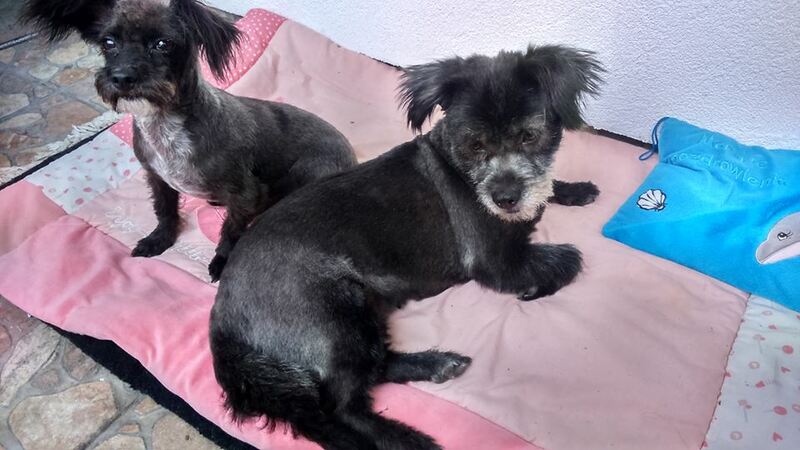 Hei Nui was never far from Tu Tu in China so we were delighted that the Polish group who raised money to adopt both of them chose not to separate them. We were delighted even further when we learned they were both going to the same home. Together forever. Read Tu Tu's blog here. Hei Nui's first night went very well. She slept with Marzena and cuddled next to Tu Tu. She is getting along well with Marzena's other dogs and is being her lovely sweet self. She has always loved to be stroked and cuddled so she is also happy for that to happen in her new home. To see these two little sweethearts reunited is wonderful. Hei Nui's arrival in Poland did not go smoothly. The vet inspector at the airport in Warsaw was refusing documents and requesting ones that were not possible to obtain. His knowledge of importing dogs into Poland seemed to be limited and it took a few hours of backwards and forwards conversations until Hei Nui was released, eventually because our pet transport company colleague in China had to ring him twice to explain the procedures to him. This made everyone stressed, tired and upset but the reunion of Hei Nui and Tu Tu was captured for us all to see. Hei Nui was happy throughout her wait and was delighted to meet her new mommy Marzena and Elzbieta, the founder of Fight for Animals Poland who organized the fundraiser to pay for both Hei Nui's and Tu Tu's flights. Tu Tu needed some reassurance at first because he has had Marzena all to himself for 6 months but he and Hei Nui were happy in each other's company. We are delighted that Hei Nui's wait is over and that she is finally in Poland! Hei Nui's flight departed just 5 minutes late than scheduled from Beijing. 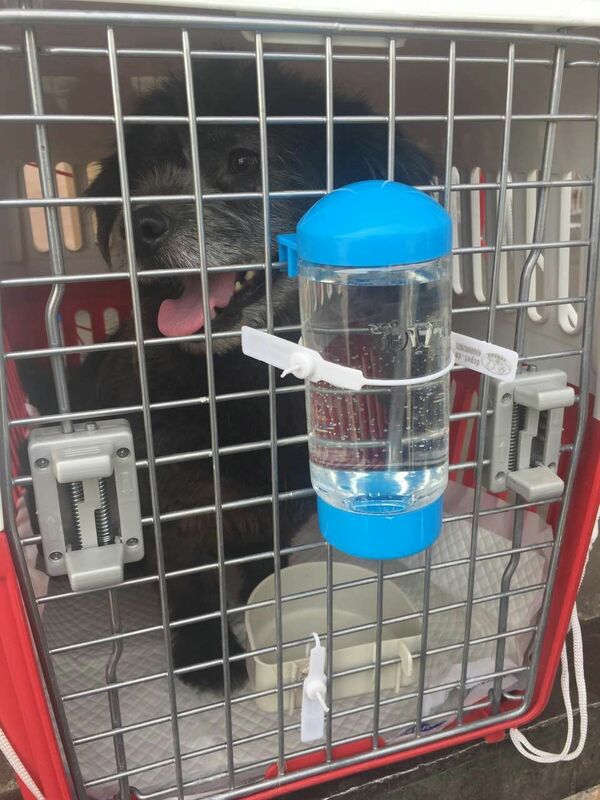 She is now on route to Warsaw in Poland where she will be met by her new mommy, Marzena, and Elzbiets; the founder of the animal rights group who arranged for the fundraiser to pay for Hei Nui's flight to her new home. We hope there will be no delays and that Hei Nui gets to meet her new family and friends as soon as possible. Tu Tu, Hei Nui's 'husband' will also be waiting for her at the airport. He has had a bath ready to meet his sweetheart. This will be their fairytale ending. Saved from the Dog Meat Trade. Now they will live happily ever after. 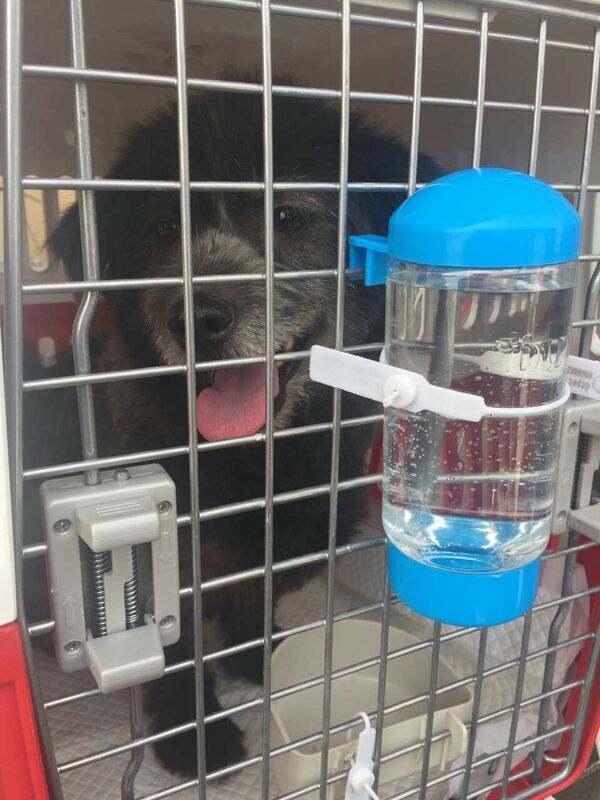 ​Below are photos and short video clips of Hei Nui getting used to her crate before leaving China forever. Hei Nui doesn't have long left to spend at the pet hotel in Beijing. Her flight has been confirmed by Air China today. She has been spending some time in the outise part of the pet hotel today, getting some sunshine and playing with the staff. She had her breakfast outside too. Hei Nui loves her food! The staff say she is really happy and doesn't seem to be pining for her puppies which is really good news for us. ​Hei Nui's puppies are also doing well. They have lots of playmates to take their mind away from the separation. After Hei Nui had her dinner, it was time to go to bed. She was put in to her cage but had other ideas. She wanted to get out and watch the member of staff who was mopping the floor! She is so inquisitive! A little cutie! Hei Nui is really happy at the pet hotel in Beijing. She is loving the attention and cuddles from the pet transport company staff. Today, Hei Nui was taken to the vet who gave her worming treatment and she was also given applications to prevent fleas and ticks. As always, Hei Nui's tail was wagging throughout the procedures. After a comfortable night in the pet hotel in Chengdu, Hei Nui was ready to fly to Beijing this morning but we received very bad news from the pet transport company. The flight that Hei Nui was due to travel on from Chengdu to Beijing was majorly delayed. The flight was scheduled to depart in the morning but was delayed until the afternoon. We tried to book Hei Nui on another flight but there were none available and then we thought of asking a passenger to take Hei Nui with them to Beijing but this didn't work either because a passenger must book a pet on a flight 24 hours in advance. 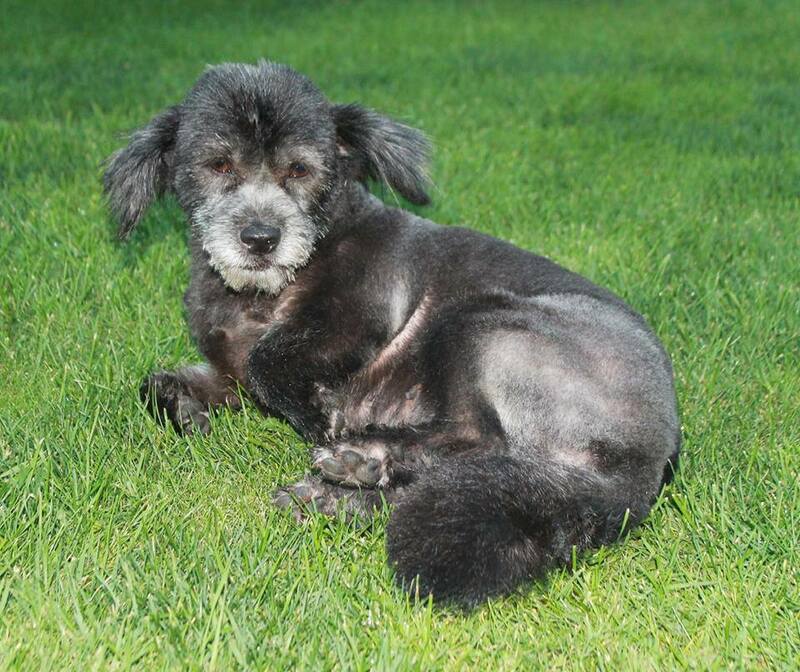 We were distraught and angry that this had happened because we had to tell the adopter that Hei Nui would not meet her flight to Poland in time. Elzieta, the lady who is the founder and treasurer of the Polish group, who raised the funds for Hei Nui's flight, and Hei Nui's new mom Marzena were understandably upset but we had no option but to wait for the rescheduled flight in the afternoon. Hei Nui was taken for a walk and enjoyed some play time and then was taken back to the pet hotel to wait for check in. We thought that was all the bad news we could take but then to make matters worse something else happened with this flight and eventually it was cancelled. Another setback for Hei Nui who had to wait again for another flight! Eventually she was boarded onto flight CZ6184, departed Chengdu on time and has now landed in Beijing. 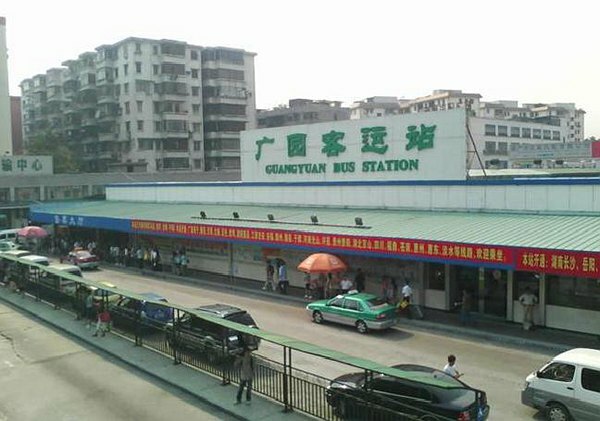 When it was time to leave Du's house, Du took Hei Nui, in her car, to Guangyuan bus station where they waited for the bus to Chengdu to arrive. Hei Nui enjoyed some off leash time in the area where the bus was waiting to take her to Chengdu. No traffic was due to move in this area so Hei Nui could play happily. She loved sniffing around this new place! Du had to get back to the house to tend to the sick dogs so one of our volunteers went with Hei Nui to Chengdu airport. 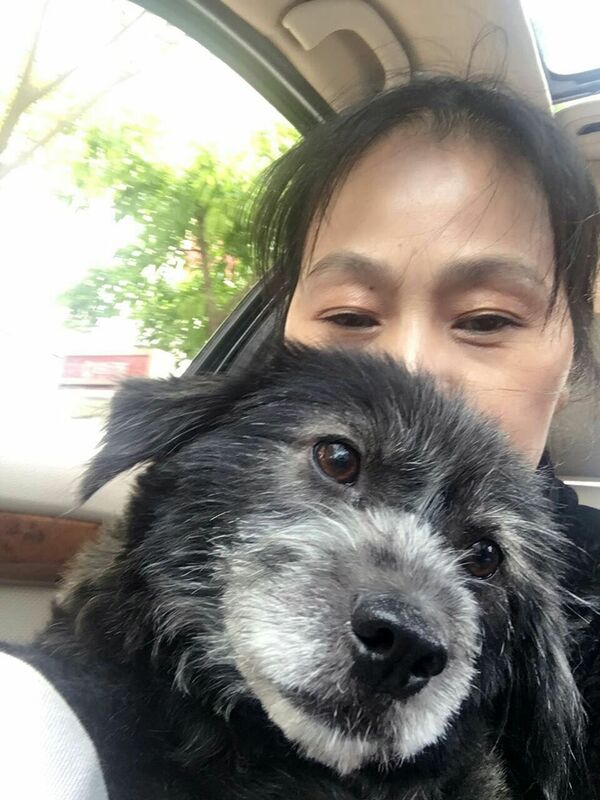 ​A pet transport company representative met Hei Nui and checked her in. Hei Nui could rest for the night in the pet hotel at Chengdu until her flight to Beijing in the morning.